The Guardian ran this a few weeks ago. This is the pre-edited version here, as it includes a few details that were cut, presumably for space (since I have more space, I've also restored a few things). The photo was taken by Boyce Keay. The Richmond Local History Society has much more to read about David, and also has links to some of his talks and historical writing. The first time I saw David Blomfield, who has died aged 82, he was on a tennis court hitting an almost unreturnable, vicious, sliced, slapped forehand. That was the least of his talents, and the least characteristic of a man widely known for his gentleness and kindness. In the area surrounding Kew Gardens, where he lived for over 50 years, Blomfield was a self-effacing hero: a highly-skilled book editor, local historian, LibDem councillor, church warden, magistrate, school governor, chair of numerous organisations including ten years at the Richmond Local History Society, and occasional assistant at the Kew Bookshop, where, with his inseparable wife, Caroline, he was a partner. If you didn't know David you haven't lived in Kew, only resided here. "Everyone wanted David on board," the former MP Jenny Tonge observed at his packed memorial service. An army officer's son, after his schooling (where achieving a cricket century at 12 remained ever after his proudest achievement) he did national service with the Royal Artillery and ten years in Oxfordshire Yeomanry, writing their history in 2015. He read Classics at Oxford and in 1959 joined Reader's Digest's Condensed Books department. There, he viewed condensed books as a way to spread books to many they otherwise would not reach. In the following 28 years, he headed the department, edited, among many other titles, The Reader's Bible, and ran a presciently early investigation of electronic publishing. Elected a local councillor in 1971, he briefly lost his seat in 1978 because he championed the unpopular creation of a bail hostel in Kew, arguing that the residents of such a privileged area should not exclude others. He won the seat back in a by-election in 1979, eventually standing down in 1986. 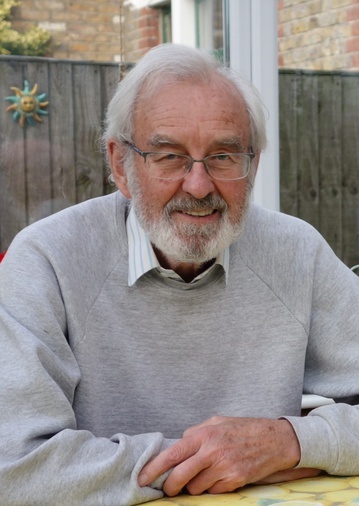 After leaving the Digest in 1987, he worked as a freelance book editor, ghost-wrote biographies including that of David Penhaligon, and wrote extensively about local history. His 2007 PhD thesis studied the boatmen along Upper Tidal Thames. His final public talk, in April, told the story of Richmond's Star and Garter home for servicemen disabled in World War I (https://soundcloud.com/richmond-history-society). A life-long church-goer, David chaired the committee that converted Kew's Barn Chuch into a constantly-used, shared local centre. He was neither exclusive nor evangelical, and his public life was driven by his belief in the importance of community. Kew is the better for it, and in 2000, he was awarded the MBE for his services to the Richmond area. He is survived by his wife, Caroline, three children, James, Melanie, and Rupert, and six grandchildren.